Comments: Comments Off on Thank the CBA for a lot of bad NFL football. Thank the CBA for a lot of bad NFL football. NOTE: On NNR Samantha Bunten of NBC Sports and I discussed the news of the day including details about the Brady case and broke down the Browns offense in detail. We discussed which players will make the roster and which will be cut. The quality of play in the NFL is going down. That has nothing to do with the quality of the athletes. Every season the rookies get better and more athletic. Rather we can blame the CBA and the sloppy practice habits of NFL teams. I have always believed that the success in the season is determined before the 1st snap of the 1st game. It is the mental and physical preparation that happens in training camp and the preseason that determines how successful the team will be. Anyone that has watched the NFL channel training camp coverage has to be surprised at the amount of time spend just standing around. The current CBA reduces the amount of practice time dramatically. But the NFL coaches have not adjusted to the limits well. One of the things that I have been very critical of the coaching the QBs get. One of the biggest issues is the lack of physical repetitions that the 2nd and 3rd QBs get. While “mental” reps help, there is no substitute for physical repetitions. Back in the Dark Ages when I coached semi-pro football, we had a limited amount of practice time because everybody had jobs. Our practices would start at 6 PM two days a week and go until dark. We would set up both the first and second team offenses on each 45 yard line going different directions. With the coaches between the groups, each side would alternate snaps. That doubled the number of reps that each group got. That not only helped the QB but the WR, RB and defensive back groups as well. Meanwhile the O and D line groups were doing work elsewhere. Those groups were working back to back as well. Given the lack of NFL ready QB prospects coming out of college football, the NFL has to do a better job giving reps and individual coaching to young players. The QB coach has to spend most of his time with the starter. Why not bring in a QB specialist coach to develop the younger guys at the position? The NFL no longer has a developmental league. A league that generates 10 billion dollars a year should spend some of it to develop players. That would also help develop coaches and refs as well. So when you watch NFL practices, watch for teams standing around. The more standing the less wins at the end of the season. Comments: Comments Off on Brady & the NFLPA risk it all by requesting an injunction. Brady & the NFLPA risk it all by requesting an injunction. NOTE: Today on NNR Samantha Bunten of NBC Sports and I discussed the news of the day, discussed the NFLPA’s chances of winning in court and broke down the Browns offense in detail. We discussed which players will make the roster and which will be cut. Tom Brady and the NFLPA are risking a lot by requesting the court to issue a preliminary injunction. First, the burden of proof falls totally on those requesting the injunction. They have to prove that Brady will be irreparable harm unless the injunction is issued. In addition they have to prove that they will likely win the case. The problem is that even if they get the injunction they lose control over the schedule of the process. For example, if they get the injunction, it could take the court 3 to 4 months to hear the case. If the court upholds the suspension, Brady could miss 4 games late in the season or in the playoffs. The NFL and NFLPA have jointly requested that the judge make a decision before the start of the regular season. I do not believe that the court will grant the preliminary injunction. If the court follows previous decisions, they will not take the case. The biggest issue still remains the fact that the NFLPA gave the office of the Commissioner the power to issue suspensions and hear the appeals. Federal courts have generally allowed decisions to stand when the proper procedures were followed if the process was defined in a collectively bargained agreement. If nothing else, it will be fun to watch. Comments: Comments Off on The NFLPA is going to court to renegotiate the CBA. The NFLPA is going to court to renegotiate the CBA. 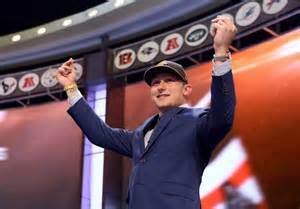 NOTE: Monday on NNR Samantha Bunten of NBC Sports and I discussed the news of the day and projected what the 2015 NFL season could be if the Browns had drafted Teddy Bridgewater rather than Johnny Manziel. Putting the current issues of Tom Brady aside, one thing is clear. The NFLPA wants it cake and wants to eat it too. When the NFLPA had the chance to take the power of the Commissioner away, the leadership chose to take the money. Now, they want the court to correct that mistake in the Brady case. This should be totally rejected by the court. In most cases, the court defers to a collective bargaining agreement in cases like this. The fact that the NFLPA agreed to allow the Commissioner to be the final arbiter of suspension cases should give the court all it needs to refuse this case. But this is far from the only time that the NFLPA has fought for money for the current players over the interests of others. They turned their backs on the retired players, those guys that built the league to the point that the current players can get such big dollars. Don’t forget that the previous losses that the NFL has had suspensions reduced were topics not covered by the CBA. And there the court reduced the suspensions because the offenses occurred at a time were a lesser penalty was the norm. While I have been shocked by what the courts have done recently, I believe that the NFLPA will not be successful in getting either an injunction nor in getting a reduction or elimination of the penalty. 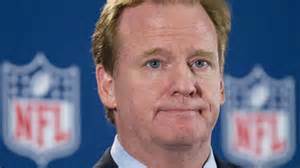 The NFL has made a preemptive strike by filing a confirmation law suit in Manhattan Federal Court. That will give the league a shot at getting the case away from Judge Dody. There is little potential for Brady’s chances for a defamation suit against the league. Because he is a “public” figure, he needs to prove not only that the claims of the NFL were wrong but that they were made with malice. That is a very hard thing to prove. I hope the court does the right thing and tells the NFLPA to pound sand. That is what should happen. But we will see. An activist court is a dangerous thing. Comments: Comments Off on Brady & the NFLPA need to shut up! Brady & the NFLPA need to shut up! NOTE: Today on NNR Samantha Bunten of NBC Sports and I broke down the Browns depth chart and projected starters. Those of you that read FPS regularly know I have no love for either the League and Roger Goodell or the NFLPA. But really the NFLPA has to shut up about wanting an independent hearing officer for appeals of penalties. The NFLPA wanted every cent possible for the current players in the last negotiations for the Collective Bargaining Agreement. They sold out the retired players. They took every dime they could for the active players and totally ignored the needs of the retired players. If I was a former NFL player I would sue the NFLPA for lack of representation and support. The NFLPA claims to represent the retired players but all they do is throw the old folks under the bus. The sad part is that the retired players built the league so that the current players can make the money they enjoy. It reminds me of Joan of Arc. She led the french to a victory in the 100 years war against England. The French thanked her by burning her at the stake. They negotiated away control of suspensions and fines. And they gave away the right to complain about wanting an independent arbitrator to hear appeals for more money now for their current players. Now that they have the money, they want to complain about independent hearing officers. My words to them—SHUT UP! You got what you wanted and now you have to live with the result. Comments: Comments Off on Browns are somewhat guilty for the Gordon suspension. 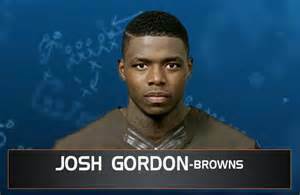 Browns are somewhat guilty for the Gordon suspension. Note: On NNR today Samantha Bunten of NBC Sports & I discussed the many issues facing the Browns and NFL. The podcast is on https://fryingpansports.com/radio-show/. There is no question that WR Josh Gordon has a major problem. Time and time again he has put his career at risk from pot or in the latest case alcohol. He has cost himself a couple of million dollars because he does not have the self control to stay away from those things that can get him suspended. The common belief is that Gordon is suspended for a year. That is not the case. Under NFL rules, it is an indefinite suspension. He will continue to be tested during the suspension. He must stay violation free for at least a year to apply for reinstatement. But in my opinion the Browns are nearly as guilty as the player. When Dallas had problems with the player formerly known as Pacman, they hired a guy to keep him out of trouble. While the babysitter did not solve the issue for the Boys, it could have with Gordon. Gordon has shown no violence tendencies. Had the Browns done that after Gordon’s career season of 2013, he might still be a productive member of the team. That could have significantly impacted the 2014 season and the team’s chances for the playoffs. The Browns vertically challenged receivers did well early in the 14 season. The 2013 Gordon would have made a big difference. But after yet another suspension, the 2014 Gordon clearly did not have the same mindset as he did in 13. During the 14 suspension, Gordon was allowed to attend meetings only because it was reduced from the indefinite suspension to a 10 game ban. Even then he violated his reinstatement terms just after the Browns season concluded. So the question is now that the horse and WR are both out of the barn, what should the Browns do? First, there is no financial or football advantage to cutting him. His contract is frozen during the suspension and that in effect extends the Browns control of him. He will not become a restricted free agent until 2017. He will not count against the cap or roster for the year. There may be an advantage to cut him from a team perspective. It would tell Johnny Manziel and others that despite the talent they may have, if they screw up they will be gone. Maybe that would get Johnny to study a little more. No, probably not. The risk is that being cut off from the team there is little chance that Gordon can stay clean during the time away. The team can have no contact with him at all. That will significantly reduce his chances of staying clean. The suspension is not certain. The NFLPA may appeal it. An appeal may reduce the term and thus allow club contact. But given the 2 reductions in suspensions Gordon has already received plus his escape from punishment for an OMVI plead, there is very little chance he will get yet another break. He has to grow up and comment to his profession. But the Browns share some responsibility for his situation as well. Comments: Comments Off on I am the Good. The NFL & NFLPA can cut up the Bad & Ugly. I am the Good. The NFL & NFLPA can cut up the Bad & Ugly. Note: On NNR today Samantha Bunten of NBC Sports & I held our noses as we discussed the Browns game with the Texans and other games of the weekend. The podcast is on https://fryingpansports.com/radio-show/. Neither the NFL or NFLPA have a leg on which to stand in the argument over the Commissioner’s powers in personal conduct issues. The NFL has been totally inconsistent in deciding penalties for players. I detailed the randomness of the penalties in my editorial “Roger Goodell’s NFL Wheel of Misfortune!” (https://fryingpansports.com/roger-goodells-nfl-wheel-misfortune/). One would assume that the power given to one man would result in consistent decisions. The fact is Roger Godell’s decisions appear to have been the result of throwing darts at a dart board filled with suspensions of various lengths. Then there is the ridiculous claim by Goodell that he never saw the video of what Ray Rice did in the elevator. Local law enforcement said they sent the tape to the NFL. But it seems that there were two people with the same name and the tape went to the janitor rather than the head of security. But the NFLPA is not without sin either. During negotiations for the most recent CBA, the union had the commissioner’s power over personal conduct on the table. The union chose to go for more money for active players than a a change in the Goodell’s powers. They got the money and now want to reduce the power of Goodell as well. So pox on both their houses. No one in this melodrama has clean hands. Not the NFL, the union or any of those accused of domestic violence. And as usual the only ones that will make money from this mess are the lawyers. I considered becoming a lawyer so I could sue other lawyers for malpractice.